I love opinionated non-PC people. This blog is to vent my opinions on life, the universe and everything. Which is 42 which in gematria is "My Heart" (LBY) according to Rabbi Abulafia. The Divine Heart is the centre of everything. 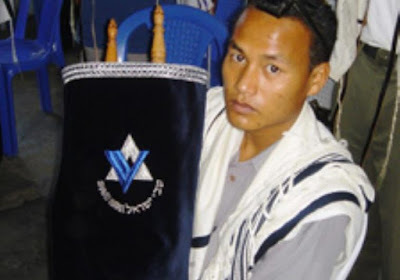 The Chin and Mizo claim to be the sons of Manasseh but are actually mostly from the Tribes of Asher and Gad which served under the Manassehite last King of Israel and his warrior horsemen of the tribe of Manasseh (Cuman/ Xiongnu/ Turks). Recently I established a Lost Tribes of Israel and Genetics Discussion Group on facebook to discuss and provide sources for those interested in the search for the Lost Tribes of Israel. 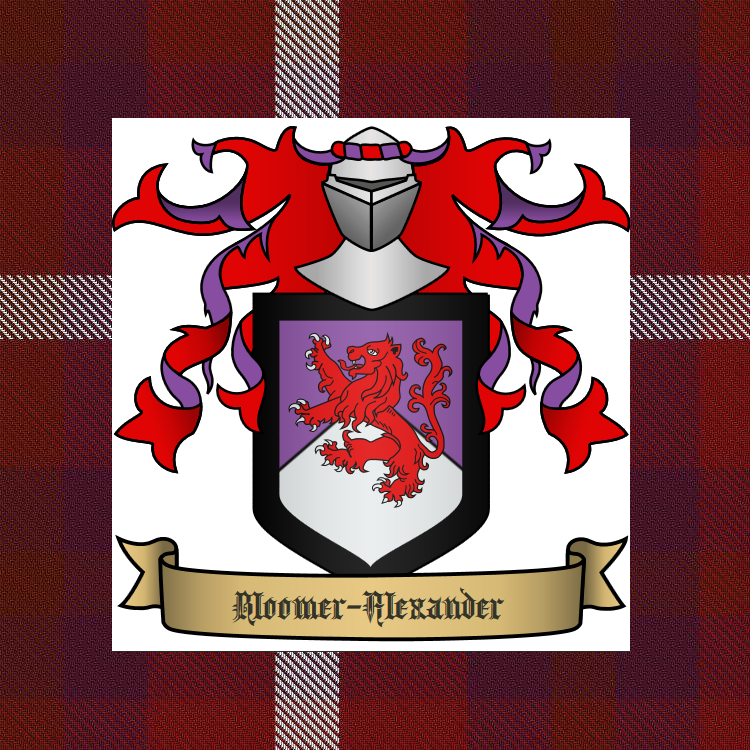 This has been a lifetime fascination for me and many of my family going back a number of generations. Until the advent of Genetics ydna research I held mostly to the identification of the Tribes as proposed by the British Israelites and the orthodox Jewish organisation Brit Am. However by using the evidence of both the testing of living people and ancient dna with a study of history and the movements of people I have come to some different conclusions. I was once a great believer that the British and their crown commonwealth countries was the Ephraimite nation and company of nations. I now realise it is the Slavic Russians and Poles and other closely related Slavic peoples that make up this Ephraimite nation and company of nations. They are the birth-right Tribe of R1a Z283 ydna. The British and Irish turned out to be mainly from the Davidic House of Nathan (R1b L21). Location of the Tribe of Eastern Manasseh in the 20th century. Many located in Afghanistan, Pakistan and North Western India as well as Kyrgyzstan,Tajikistan and southern Russia. As well as a hot spot in south-eastern Turkey and south eastern Iran. Until very recently I believed that Manasseh was America but now I realise Eastern Manasseh is represented by the Turkish Sultans and those eastern peoples of R1a Z93 ydna. Only a percentage of the people of modern day Turkey belong to this group (about 10-15 %) and the largest group among the Turks of Turkey belong to J2 an Assyrian/ Ishmaelite clan at about 25%. In Western Europe the Western Manassehites (R1a L664) may be found and USA may have elements of both Manassehs among them. 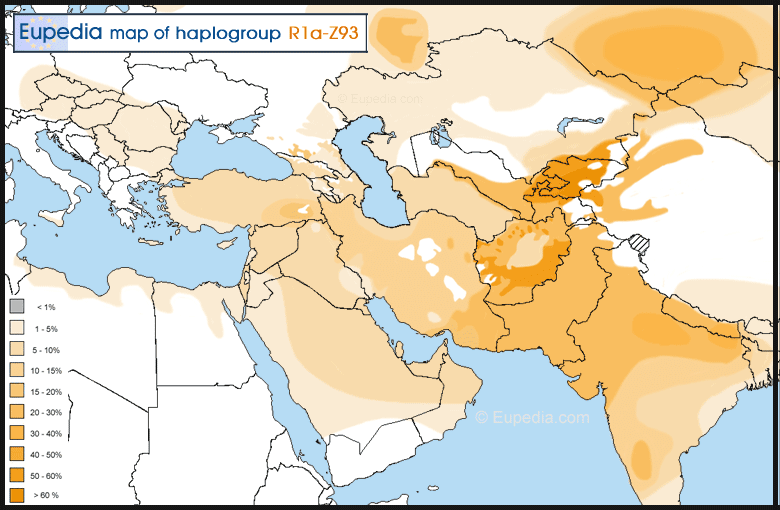 I also discovered in this reevaluation of the genetic evidence that many Asian peoples belong to the Tribes of Asher and Gad (both of O ydna haplogroup). I had always believed that the Tribe of Zebulon was among the Dutch and German people and this has proved to be correct and they mainly belong to R1b U106 ydna as well as R1b L238 ydna. This Tribe of Zebulon has been in Western Europe the longest of all the Tribes of Israel. Our present Queen's father George VI may have belonged to a Royal House descended from Zebulon and recent genetic studies identify the House of Saxe- Coburg and Gotha with R1b U106 Z305. 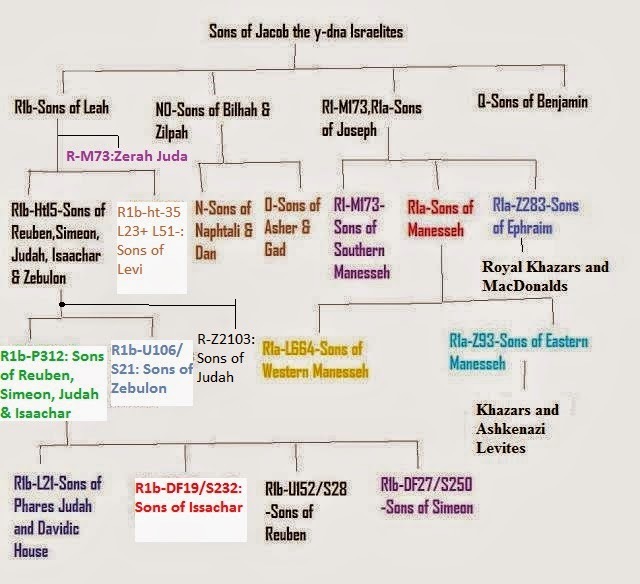 So the Queen belongs to the Royal House of David only through a female lineage but on her direct male line she is a descendant of St Peter (Sh'mon ben Yochanan bar Yonah) and Jonah the Prophet who both belonged to the Tribe of Zebulon. The French Bourbon Kings also belonged to the Tribe of Zebulon (R1b U106 Z381). I have also always believe that the Tribe of Reuben was to be found among the French and this has proved to be true with many French people belonging to R1b U152 which is numerous in France and Northern Italy. It is interesting that both the Plantagenet Kings of England and the Hapsburgs of Austria belong to the Tribe of Reuben and are only Davidic on a female line. Both the Stuart dynasty and the Oldenburg belong to R1b L21 and are direct male line descendants of the Davidic House. However some claim that it is not clear yet whether the Oldenburg House is R1b L21 (Davidic) or U106 (Zebulonite). 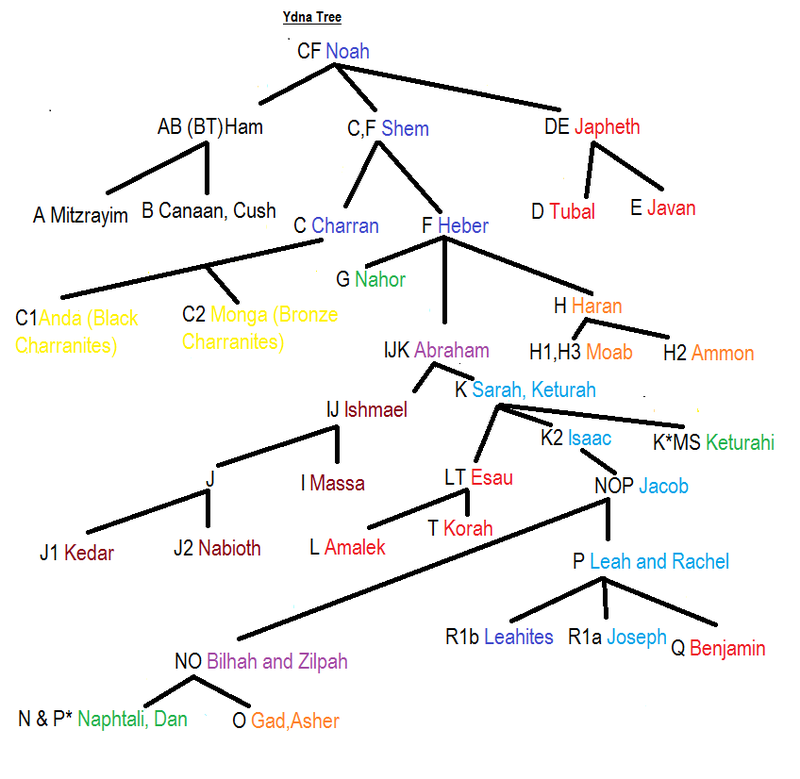 As one can see from the above chart the great majority of the people of the world today are descendants on the male line from Noah's son Shem with exceptions of A, B, D and E haplogroups. 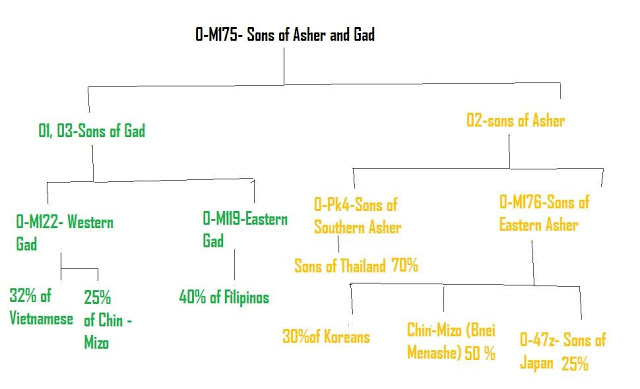 A large portion of Europeans and Asians are male line descendants of Abraham (IJK). The numbers descended paternally from Jacob/Israel (NOP) are also immense. The Han Chinese people are nearly made up of 55 % of Western Gad (O3 ydna) and about 10% of Eastern Gad (O1 ydna) as well as about 15% of the Tribe of Asher (O2 ydna) and almost 10% of the Tribe of Naphtali (N ydna) and about 1% of the Tribe of Benjamin (Q ydna). The biggest group of non-Israelite male ancestry among the Chinese is Charranite C ydna which is about 5-10 % and about 1% of Tubalite D ydna. Thus both the Chinese and Japanese are mostly Israelite peoples on their direct male lines. However the Japanese are not as Israelite as the Chinese as they have a large percentage of non-Israelite D ydna about 35 % or more. The Ainu of Japan are over 87 % D ydna descendants of Japheth. The Koreans are about 45% of Western Gad (O3 ydna) and 30% of Asher (O2 ydna) and the Koreans have about 15% of non-Israelite C ydna as well as a small percentage of D ydna. 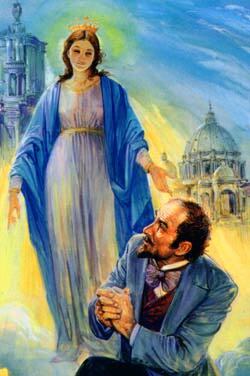 The mother of Zilpah (the mother of the patriarchs Asher and Gad) was the handmaid of Laban's wife Adinah. Zilpah and Bilhah were maternally descended from the red-bronze daughters of Adan the wife of Japheth. 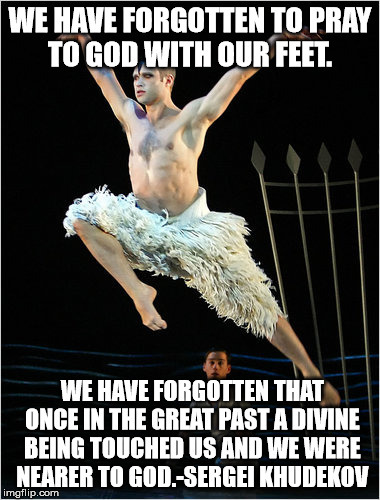 Your assessment of B'nei Zilpah is interesting. A lot has been transmitted to Filipinim in that regard. Their Caregiver role throughout the Middle East attest to these burgeoning blessings of Jacob and Moses. They are a Happy Lot in deed. Feel free to deduce your conclusions from the links provided on my profile. John the Apostle emphasizes a tribal paradigm which I attribute to my novice findings. 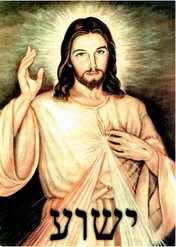 I am a Hebrew Catholic or Catholic Jew. I adhere totally with the infallible teachings on faith and morals of the Catholic Church and I believe that Pope Francis is the Messiah's chief representative on earth. 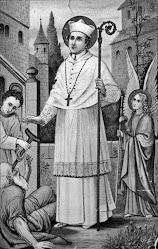 I do not write to proselytize religious Jews but to share my ideas with my fellow Catholic Jews and also with Gentile Catholics who are interested in the Jewish roots of the Catholic faith. These are my personal thoughts and do not represent those of any group I may belong to.